During the summer months, Caledonian MacBrayne operate two ferries on the crossing from Ardrossan to Brodick. Mainstay of the service and on duty all year is CALEDONIAN ISLES, seen at Brodick Pier shortly before departure back to the mainland. The smoke visible at her bow is from the diesel engines that drive her bow thrusters. Also of note in this view is the boom which forms part of the operating gear for her fast rescue craft, mounted immediately abaft the bridge on her starboard side. Just after she left the pier, it was deployed as part of a training exercise. 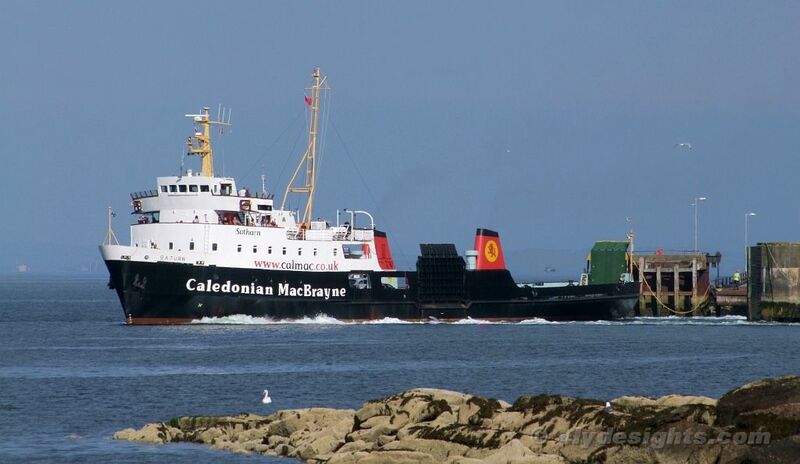 In July and August CALEDONIAN ISLES is joined on the route by SATURN, which has acted as secondary Arran ferry for a number of years, having been otherwise rendered surplus following the arrival of new tonnage on the Upper Firth. With a new ferry under construction in Poland for the Islay service, this may be the last summer that SATURN is used in her present role. 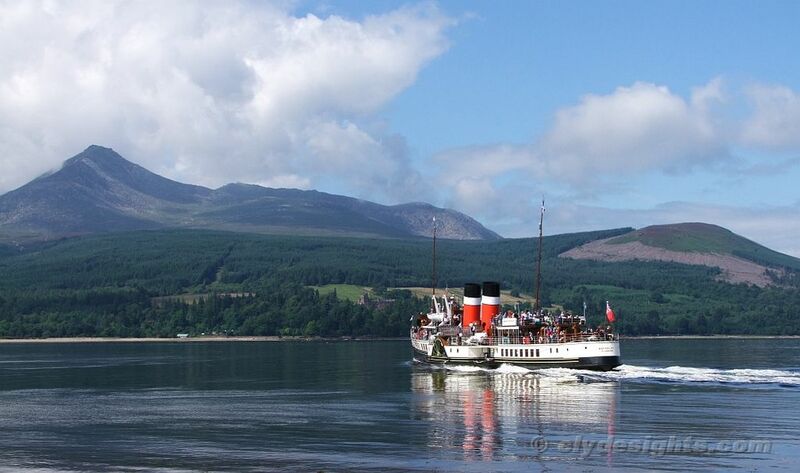 Also seen gracing the pier at Brodick during the summer months is the paddle steamer WAVERLEY, which calls twice each week on her programme of Clyde excursions. On Wednesdays WAVERLEY sails from Ayr, via Brodick, to Largs, Dunoon, Blairmore and Loch Goil, while on Thursdays she starts upfirth and from Brodick, offers a short afternoon cruise to Pladda at the southern end of Arran. 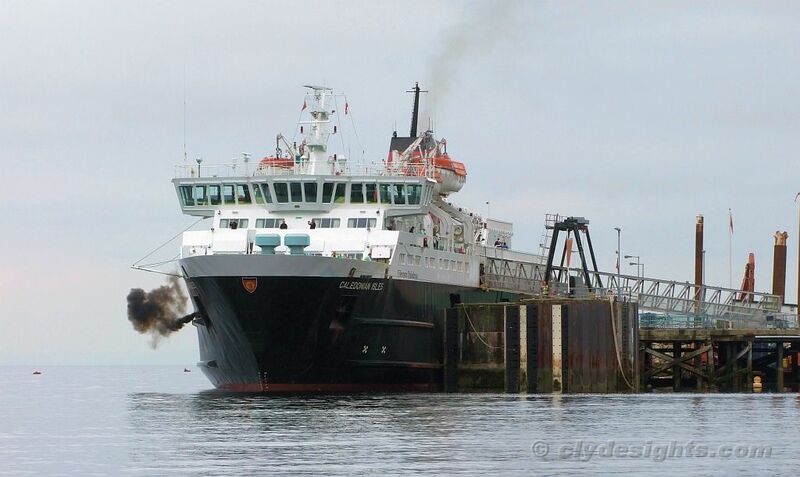 Occasionally WAVERLEY also calls at Lochranza, Arran's other ferry terminal, situated on the north-west part of the island.